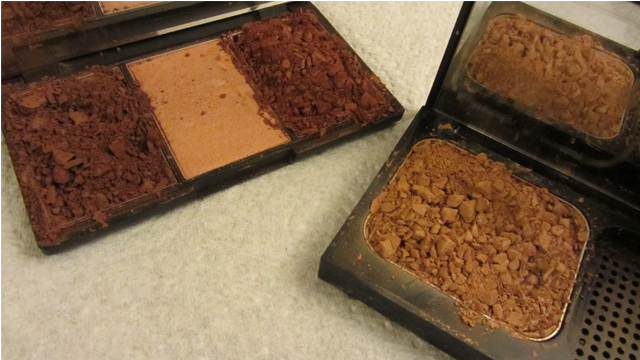 One day while browsing Pinterest I spotted a post on how to repair broken make-up. I knew this would come in handy one day so I saved it. 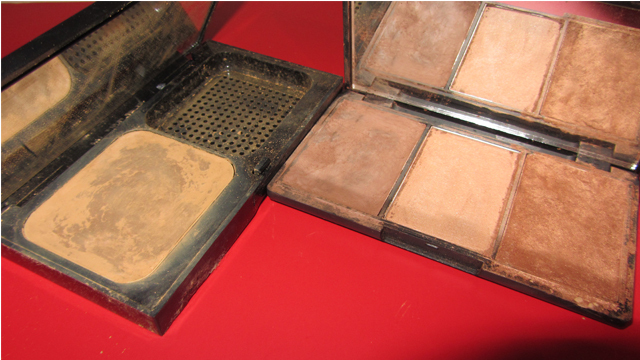 Then, the inevitable happened to not one, but two pieces of makeup. 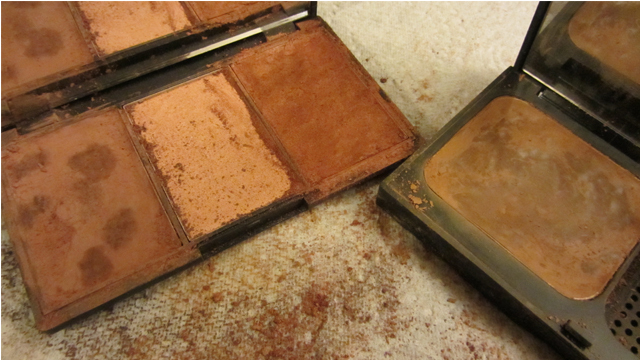 Two shades out of the three in my Sleek Face Form kit were cracked and crumbling and my brand new Bobbi Brown Face Weightless Foundation broke into pieces when I turned it upside down to check the shade. So annoying! Make-up after adding a few drops of surgical spirit and smoothing back down using cling film so my fingers didn’t get messy. You can see that my make-up now looks pretty bad but I can still apply it and it looks fine on my face. It also smells like surgical spirit – very clean! For some reason the foundation has started to crumble again. Perhaps I didn’t use enough surgical spirit. 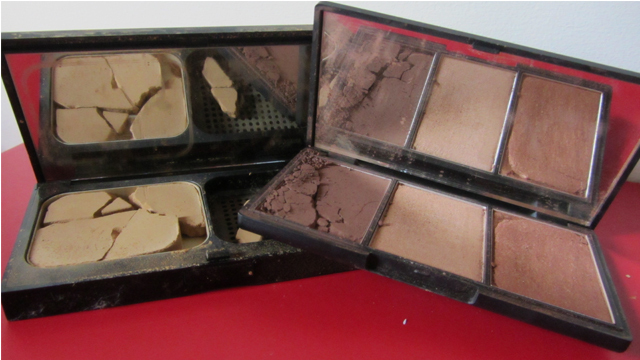 Have you ever tried to repair your make-up? How did you do it? Thankfully the colours were fine, even the shimmer! Aww sad 😦 broken makeup is seriously a heart breaking experience..